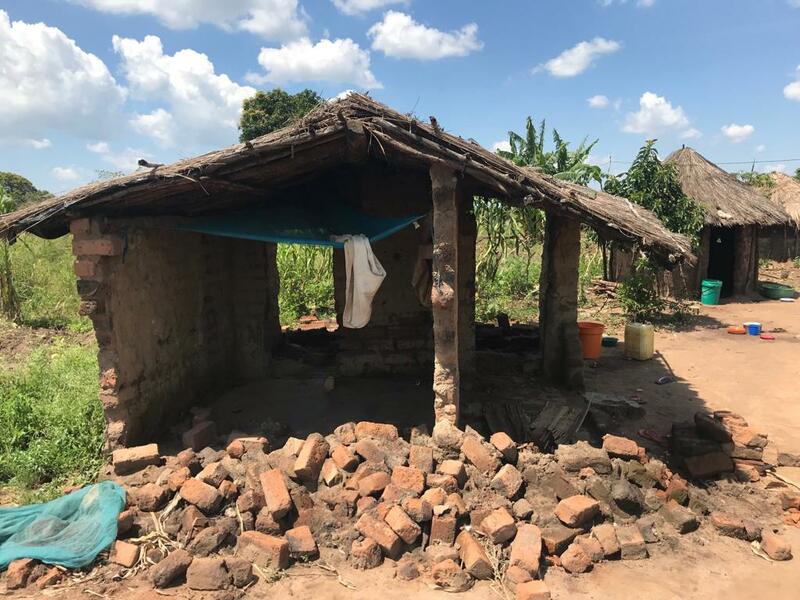 This Sunday (4/21) we will have collection boxes available for the funds we are raising for those affected by the heavy rains and cyclone in Mcheneke, Mozambique, and Zimbabwe. See the reminder for online giving links below for more information! There are also buttons below to give online. Thanks Ed for sharing about accounting, finance, real estate, and law--the professional and business service industry. 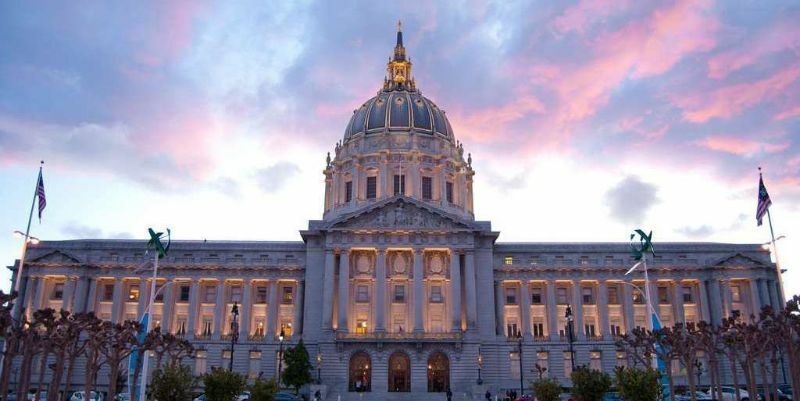 Currently, the professional and business services sector represents 28% of San Francisco non-agricultural Labor workforce. Ed shared about the joys of working in the industry, such as Financial Stability and provision; Exploring interesting content; Having the ability to make impactful decisions; and Engaging with others and building meaningful relationships. However, on the flip side of this coin, there are also many challenges and difficulties that are faced in this sector such as: Money, Greed, Difficulty having compassion for others in difficult situations, Treating others with equal self-respect and dignity, and Being unable to be present amongst friends and family due to long working hours and heavy work loads. With this said, God continues to work through our various professions in this industry in both small and large ways, whether that is finding other Christians in the workplace to be salt and light in the industry, and also recognizing, as Seng preached last week, on how not just 10% of it, but all of it, belongs to God and should be used to glorify him. Then Toby prayed a commissioning prayer for all those who work in the professional and business service industry, sending them out in the name of Jesus Christ, that God give them knowledge and sense of purpose in their work, knowing that God will use them for his will. Let's continue to pray for our brothers and sisters in this field and see how no matter where we are during the week, God has us there for a reason. Question #16: What is sin? 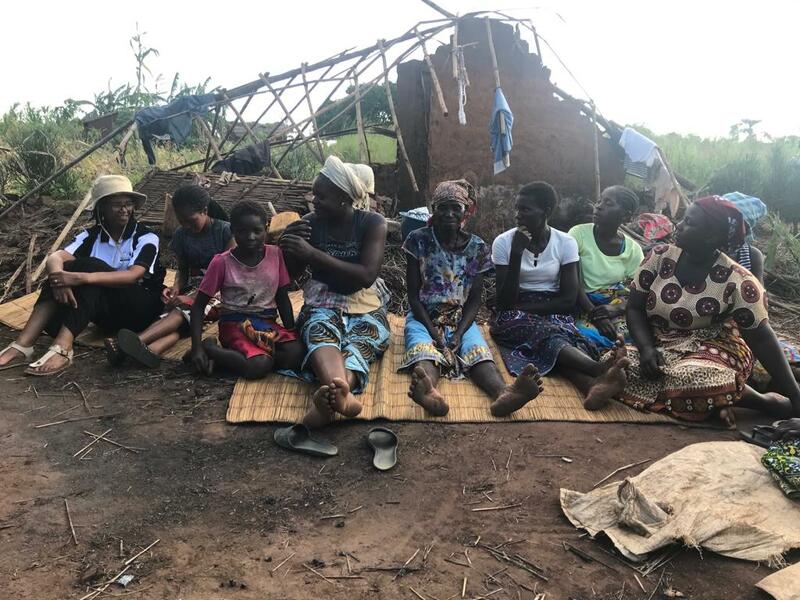 This Sunday (4/14) we will have collection boxes available for the funds we are raising for those affected by the heavy rains and cyclone in Mcheneke, Mozambique, and Zimbabwe. See the reminder for online giving links below for more information! 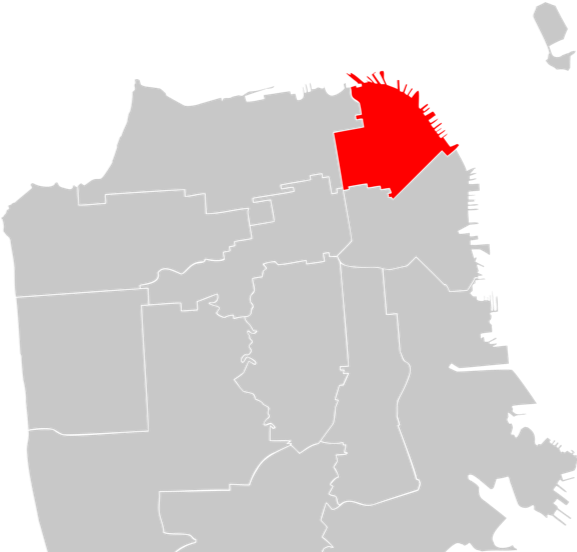 San Francisco’s District 3 encompasses the north east corner of the city and includes the neighborhoods of Telegraph Hill, North Beach, Fisherman's Wharf, Chinatown, Embarcadero, Nob Hill, Financial District, and Union Square. In terms of ethnicity, 46% are White, 44% are Asian, 8% are Latino, and 3% are African American. 43% are foreign born and 50% of residents speak languages other than English. In terms of education, 19% have a high school degree or less, 33% have a college degree, and 18% have graduate and professional degrees. Kevin shared about how they moved to Telegraph Hill two years ago, and some of the most prominent features of their neighborhood include how polarizing it can feel. On a single walk around North Beach, they interact with folks across all socio-economic backgrounds--young millennials, reminding them of the city's transience, Chinese immigrants, whose primary language is not English, and their neighbor across the street who owns a Porsche and two Ferraris. However, there is still a strong sense of community in places like local cafes of people playing the same crossword puzzle, community centers where kids play together, and on the streets where families run into each other and catch up in the streets. They also see hope and God moving. 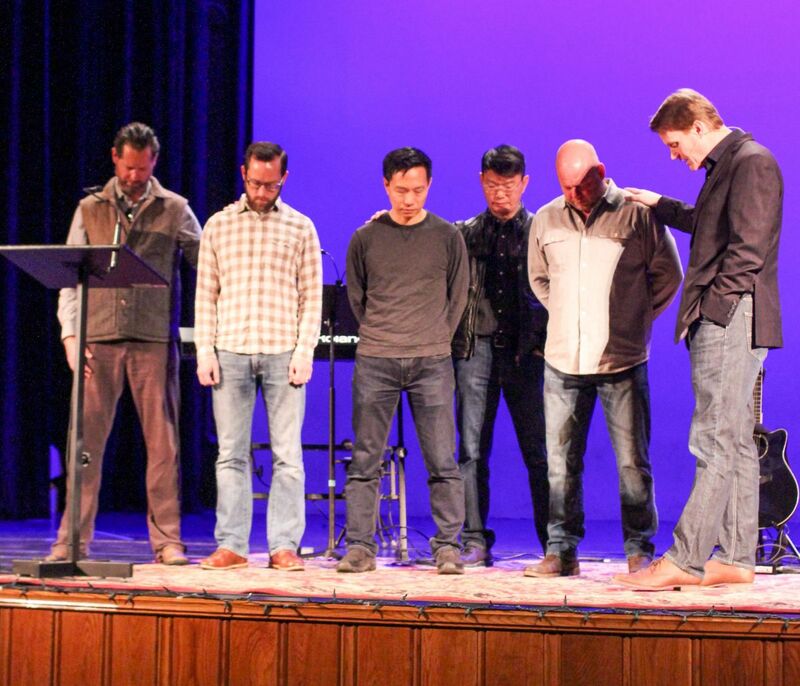 They met a local community group whose mission was to intentionally and tangibly love their next-door neighbors as Jesus adamantly commands, and see churches being planted in the community, with at least two being planted since we’ve moved into the neighborhood – The Porch and Liberty Church SF. Then Sharon led us in prayer for this District. Let's continue to pray for our city and neighborhoods, and seek to love and serve our neighbors the way Christ taught us. Hello Church! 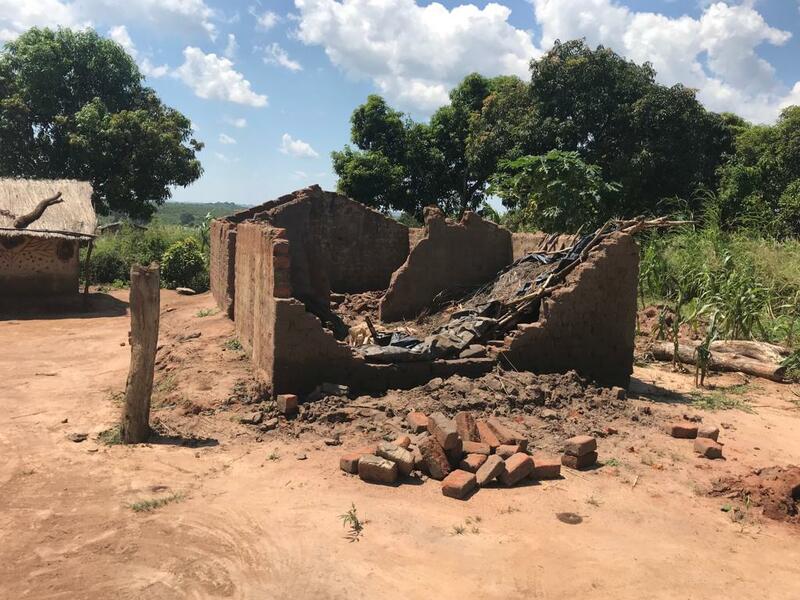 We are still collecting funds for the rebuilding efforts in Mcheneke, Zimbabwe and Mozambique. Please refer to last week's Mission Highlight for more information! -Spain sandwich fundraiser on 4/28 after service here at Roosevelt! There will be a sandwich bar where you can build your own sandwich and hang around for extra fellowship while supporting our Spain Team. We will have parking until 3pm so please stick around! -Volunteers needed for Roosevelt MS "Spruce Up Day" on Saturday, May 11th from 9am-1pm. Roosevelt has asked for help and it's a great way to serve. There will be activities for adults and kids! If you can, please RSVP to the email that went out. If you didn't get the email, email us, or ask anyone with a green lanyard for help with that. -Members! Please turn in your elder affirmations by this Saturday (4/13). Thank you so much!!! 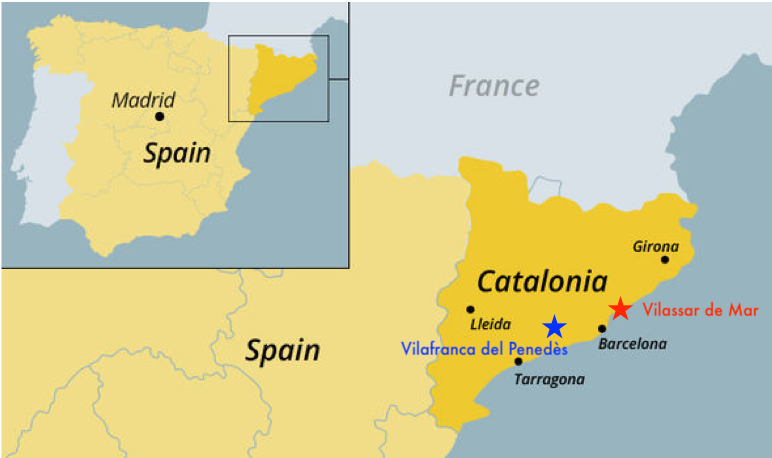 Mission Highlight: This Sunday, we presented the team going to Spain this summer before the congregation. 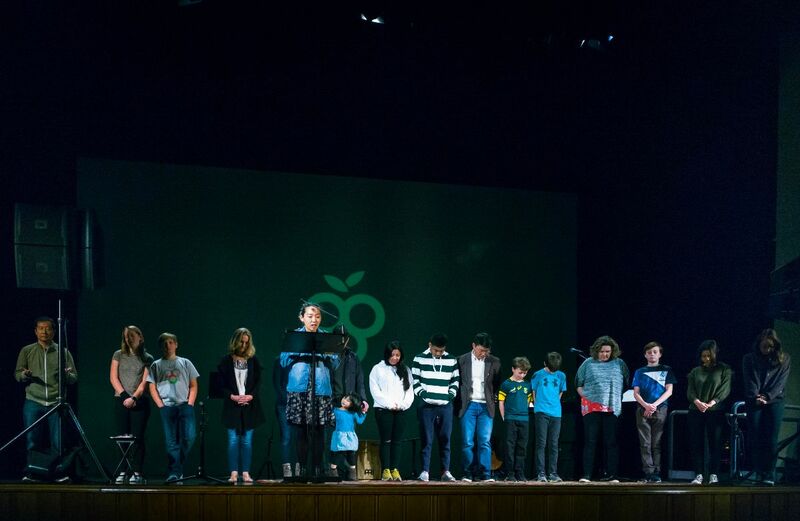 Those confirmed going (left to right) are Leon, Hannah, Jonah, Courtney, Jason, Jen, Vivienne, Alicia, Cristian, Seng, Kellan, Cameron, Rebekah, Ronan, Julie, Christina and Toby and Aidan (not pictured). 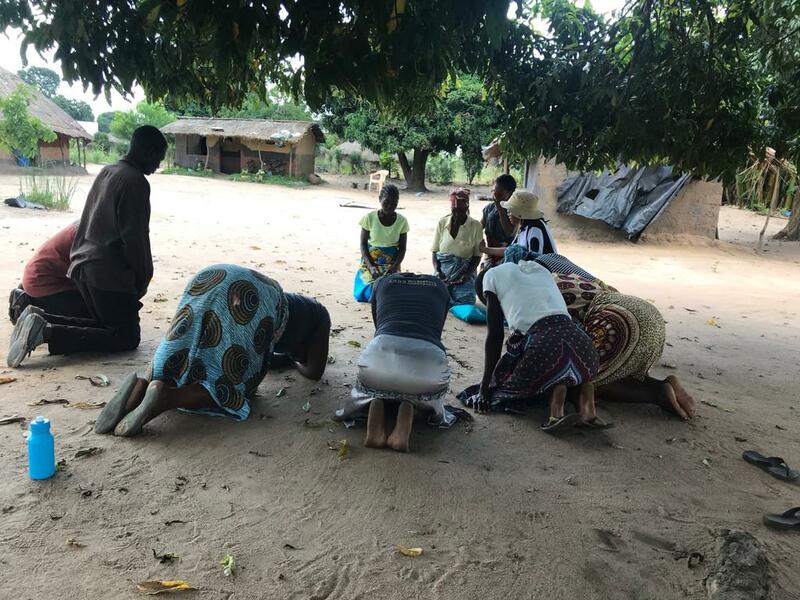 Please encourage them and pray for them, engage with them in conversation to better understand the trip, why they are going, and how you can pray for them and support them. 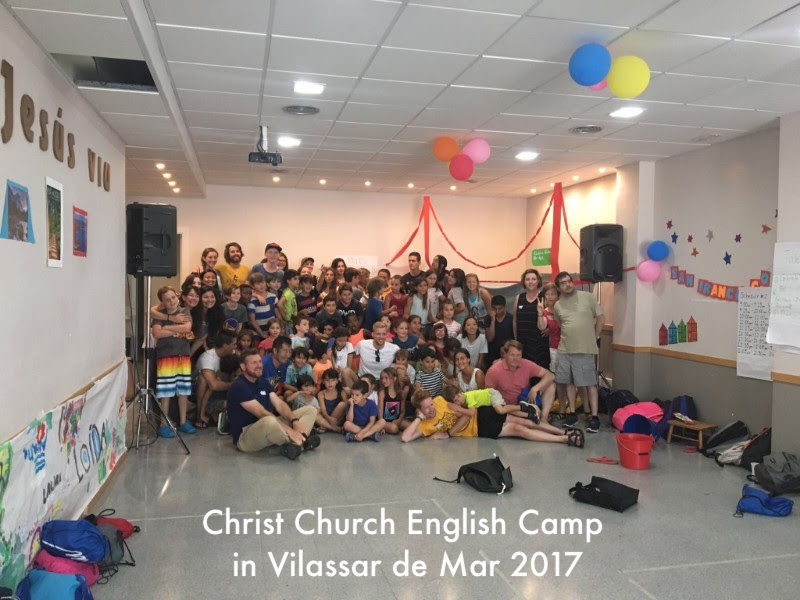 The English camp (6/24-28) will be in Vilafranca, Spain, where less than half of one percent are evangelical Christian. By providing a service they want (English instruction), it is an opportunity to help the local church build relationships and love and serve the community. Let's remember to keep them in prayer! Main Idea: Anger is pride that keeps us from peace with God. -Hands at Work Gathering this Saturday, March 23rd. Hands at Work is an organization we've been partnering with for almost a decade to hep serve the most vulnerable in Mcheneka, Malawi. Please join us on 3/23 for dinner, community updates and prayer. An evite has gone out but please email us if you didn't get it. -Next Theology Uncorked next Sunday, March 24th at 5pm (location TBA). Come and grab a cup of coffee, a glass of wine, or a beer and be ready for some lively conversation. We will be working through Michael Horton's Pilgrim Theology over the course of the year. The goal of this time will be to learn how to think theologically about our lives and our world. An email will go out! Mission Highlight: Thank you Chad for leading us in prayer for our leaders. Periodically we pray for our leaders in the country, the world, and our city. He reminded us about 1 Samuel 8, when God warned the people of the perils of human kingship. Though we can be disappointed in our leaders, the Bible calls us to pray for them. 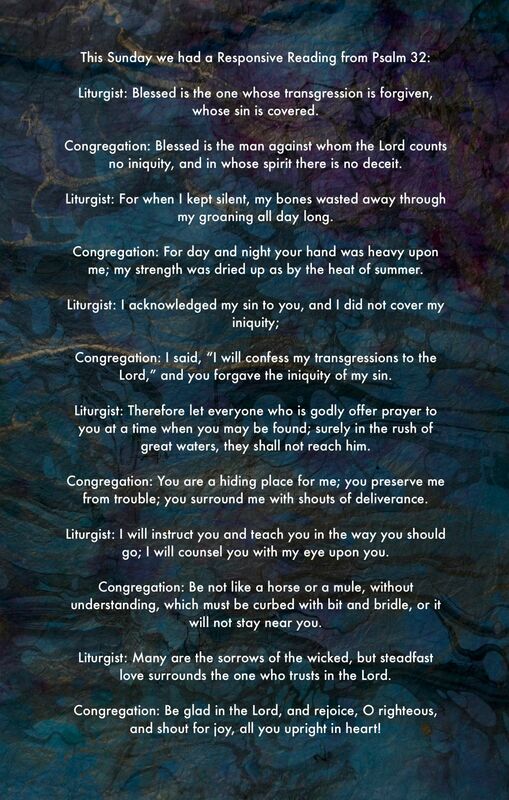 We are commanded to pray for our leaders in 1 Timothy 2:1-4. Chad asked us to reflect on servant leadership and told us a bit about Bill Scott, Chief of Police; Joanne Hayes-White, Head of the Fire Department; London Breed, Mayor of San Francisco; Dr. Vincent Matthews, Superintendent of Schools; Harlan Kelly; General Manager of Public Utilities Commission. He also prayed for the family of the Public Defender who recently passed away. He asked God to help the leaders of our city, state, and country be wise and make godly judgments and make decisions on behalf of the people they serve. He asked God to help them mentor others and prepare them to serve, and to bring leaders together in time of social unrest and partisanship. He asked God help the leaders seek peace and justice and fairness, to seek justice for the poor and widow, to find the tools they need to face big challenges. He asked God to give leaders grace and rest, and the peace they need to serve, decrease their stress, improve health and help them deal with magnitude of their role in healthy ways, knowing that the joy of salvation can be a salve to their wounds. He asked that they see God in their work and have the truth of gospel permeate their thinking. He asked that God reveal himself to them in a way that through their leadership, people might see God's light and know him. He asked God allow his sons and daughters to be around leaders and influence them, and that the church would support leaders the way God would have us do. He asked that God would help us regularly pray for our leaders and seek their salvation, not to turn to anger but prayer and forgiveness, know them as real people. He asked that God would help us and our leaders look towards his kingdom. Let's continue to remember to pray for our leaders! Question #15: Since no one can keep the law, what is its purpose? Main idea: Wisdom from above gives you peace and purpose. -2 to 3 slides volunteers needed! Once a month, you would help prepare the liturgy slides, help set up on Sunday mornings, and then operate the slides that Sunday. If you're interested, please email us. -Hands at Work Gathering on Saturday, March 23rd. Hands at Work is an organization we've been partnering with for almost a decade to hep serve the most vulnerable in Mcheneka, Malawi. Please join us on 3/23 for dinner, community updates and prayer. An evite has gone out but please email us if you didn't get it. Today is Ash Wednesday. 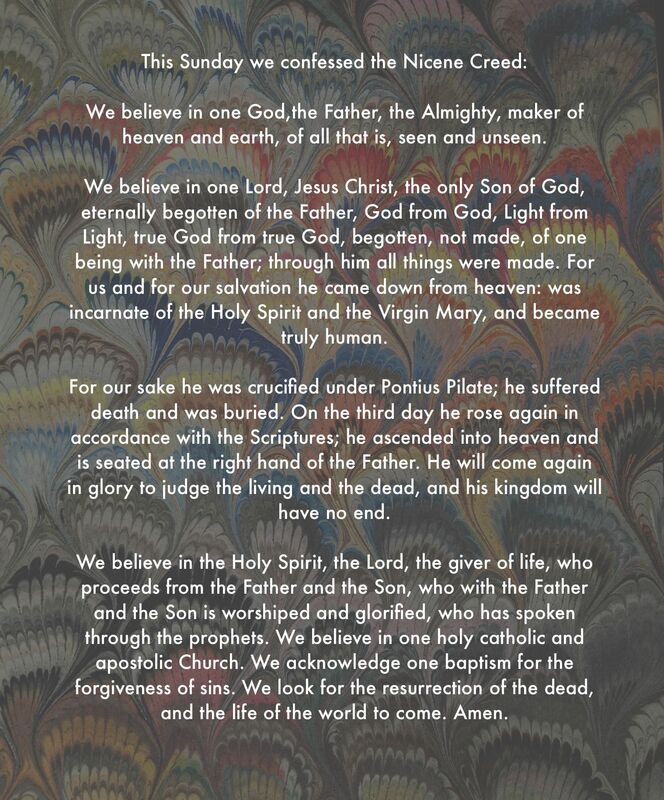 Please use this lenten devotional to prepare your hearts and meditate on the life and crucifixion of Jesus Christ, before we celebrate the resurrection of Easter. 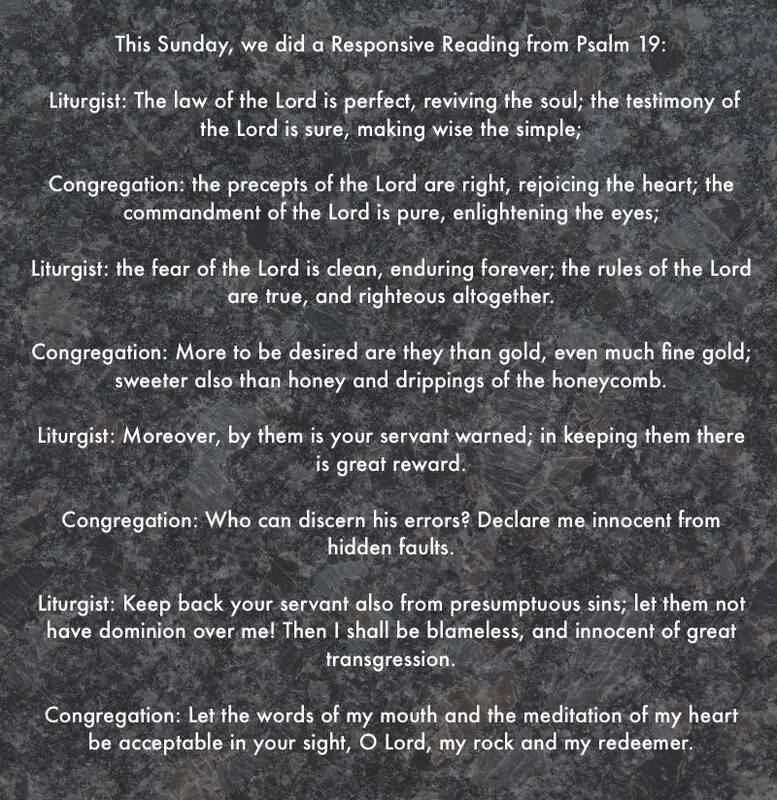 This portion is found in the Seasons liturgical calendar we sent out a while back. Mission Highlight: God has graciously designed the leadership of the Body of Christ to include pastors and elders (Eph. 4:11-16, 1 Tim 3:1-7, Titus 1) and deacons and deaconesses (Acts 6:1-7, 1 Tim. 3:8-13) in the local church. We believe that elders are given by God as a gift to his church. 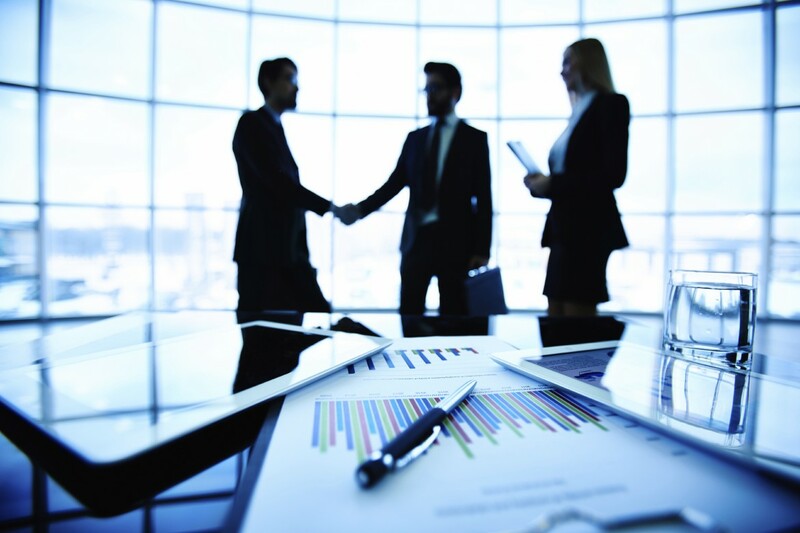 We also believe that there is a Biblical pattern of the church being called to “select from among themselves” those leaders whom God has called, gifted, and affirmed. This Sunday, we presented the three candidates to the congregation--Jamin, George, and Carter. We prayed together asking God to guide this process. Emails will be going out shortly to the members of Christ Church to participate in the affirming process. 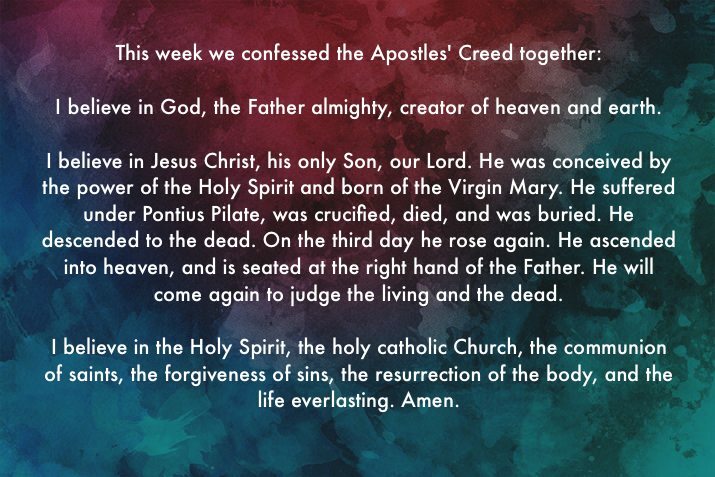 Let's continue to pray together for our elder candidates and our church this week! Main idea: If you can control your tongue, you can control your whole life. -2-3 Slides volunteers needed! Once a month, you would help prepare the liturgy slides, help set up on Sunday mornings, and then operate the slides that Sunday. If you're interested, please email us! -On Saturday, March 23rd from 6-8pm, we will have a Hands at Work gathering. Dinner will be provided and we will share community updates and have a time of prayer. Please email us if you are interested! Ash Wednesday starts in one week: next Wednesday, March 6th. Please use this lenten devotional to prepare your hearts and meditate on the life and crucifixion of Jesus Christ, before we celebrate the resurrection of Easter. 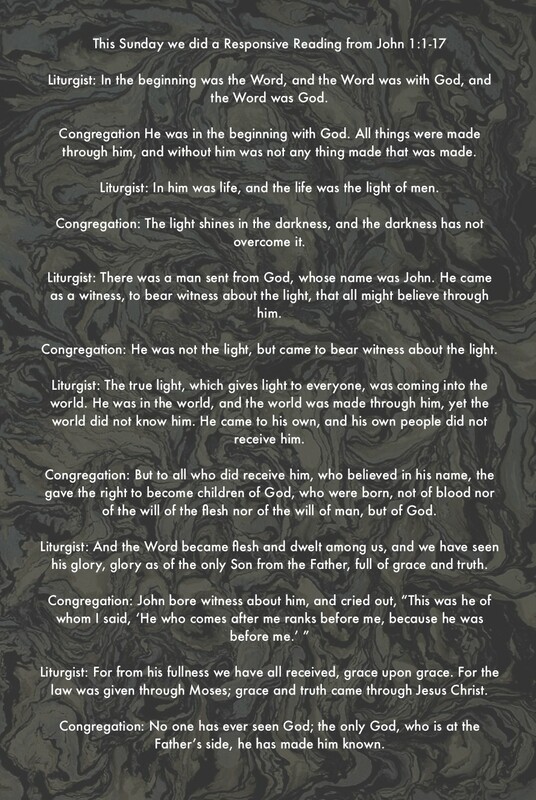 This portion is found in the Seasons liturgical calendar we sent out a while back. This week Irene shared about the spiritual challenges and opportunities in the Advocacy, Non Profit and Social Services Fields, drawing from other members in our congregation who work in the vastly different roles in this field. She shared how people who choose this work are drawn by the opportunity to serve, the purposeful and meaningful work to strive to give a voice to those who are unseen and forgotten. However it can be overwhelming to think about people caught in complex webs of poverty, illness and injustice, where resources are so often limited by funding, staffing and services. It can be hard to remember they are not a savior but a humble servant. There are also days when the work can feel meaningless and there can be a spiritual numbness. We can doubt that God is even out there or be angry and blaming because things don’t change, people don’t change fast enough. As for The Opportunities--they are rich and nuanced. In our many different kinds of work places, our fellow co-workers and the people from different agencies we coordinate with—they may not be believers, but the work we do every day is profoundly Christ-like. Regardless of world view, we have an opportunity to share about how God is deeply at the heart of this. The work is humbling. We can embrace the brokenness of each client/patient as well as our own brokenness, knowing deeply that God values all of us. Then Seng prayed for those in this field, praying a Commissioning Prayer over them. He thanked God for those who speak up for the overlooked and insecure. He prayed for the frustrations they face, asking God to remember his own heart for the weak and those who serve the weak, and his own leaving heaven to come to earth to keep company with and serve the lowly, and his identification to the least of these. He prayed against temptations and asked for sustained hope in his promise to make all things new and that every tear will be wiped away, that in their weakness his power is made complete. He asked for strength and grace, sending out those in this field in the name of Christ. Please feel free to listen to the audio recording here! Main Idea: Live out your faith. -4-5 Slides volunteers needed! Once a month, you would help prepare the liturgy slides, help set up on Sunday mornings, and then operate the slides that Sunday. If you're interested, please email us! -The Spain Mission Trip will be at the end of June this year. We will have an information session on Sunday, March 3rd at 5pm at the Jantz residence (an email should have gone out). We would like the team to be finalized on 3/17, so please come to find out more. Here is the form if you missed it. 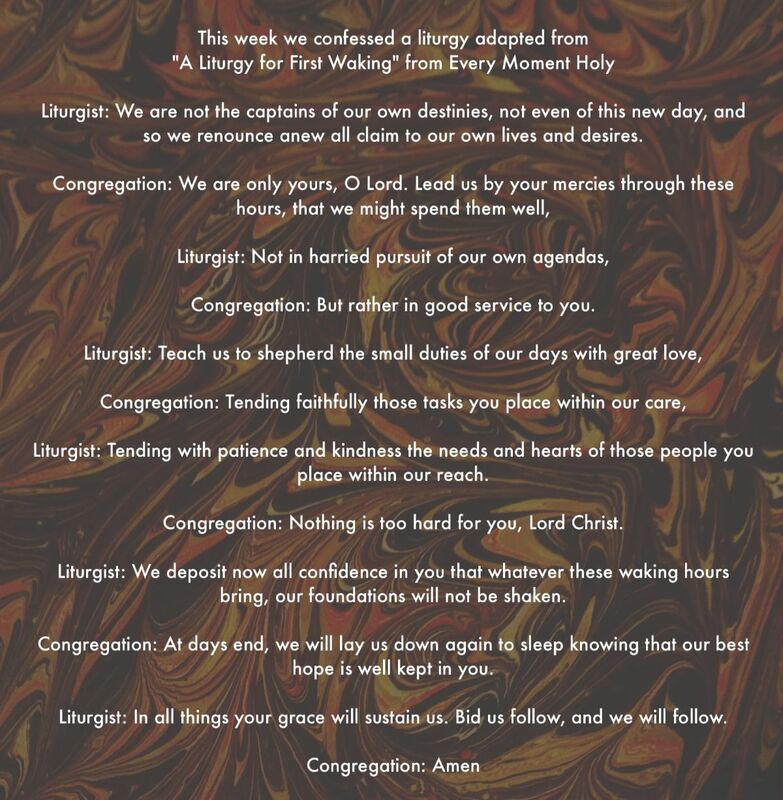 Ash Wednesday starts in two weeks, Wednesday, March 6th. Please use this lenten devotional to prepare your hearts and meditate on the life and crucifixion of Jesus Christ, before we celebrate the resurrection of Easter. 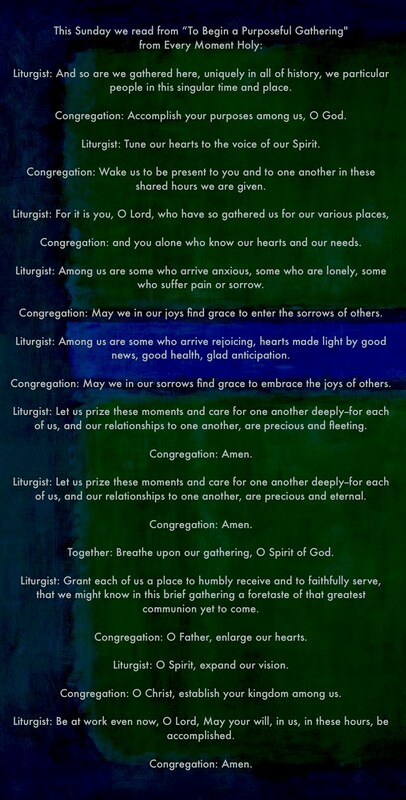 This portion is found in the Seasons liturgical calendar we sent out a while back. Mission Highlight: Every week we focus on a region where we can be intentional in bringing the gospel to the community we live in. 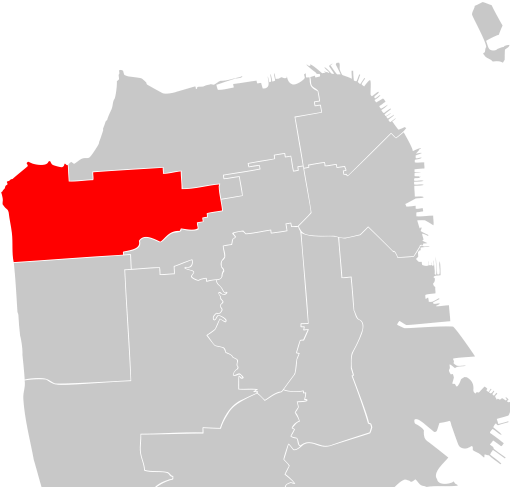 We often highlight the different parts of San Francisco and the neighbors we are called to love and serve. Thank you Christina for sharing about your community, District 1. District 1 starts right in this area where our church is and goes all the way down Geary to the ocean and includes the Golden Gate Park, The population facts that I am about to read include the diverse families, working singles, and students of the nearby USF and UCSF campuses- but they do not include the homeless population living throughout the par. However they are definitely a part of the community as it is not uncommon to see regulars make themselves at home on the streets. Christina shared about living just a few blocks away from church where we had the gas explosion fire last week. Fortunately no one was hurt and damage was minimal, but it was a blessing to see how the community came together to help each other out. Emails and messages were going across neighborhood forums on how to help the restaurant that burned down as well as the occupants of the houses that were damaged. Among them, she knew believers who were intentional in their love and concern for the community but so many more were helpers that she did not know personally. Her heart was challenged to understand that God uses these times of crisis for His people to come out and meet others in their needs and take every opportunity to share the gospel of Christ. My hope is that we all who make up Christ church as the Christian neighbors here, would be known to the community as the first responders for people in times of spiritual and physical need. Then Christina prayed for the people of District 1, including Outer Circle, which serves people living in the park, taken over by our sister church Citizens. Let's continue to get to know, pray for, love, and serve our city and our neighbors for Jesus! There is a distinction in James between real faith and false faith. Listen to see how real faith works in obedience to Christ. -If you haven't already, please take the anonymous Christ Church survey in the cafeteria after service. We will have some iPads and laptops available, or you can just sit with some snacks provided on your phone. It's a way for our leaders to get an honest snapshot of our church to help us grow spiritually. -Next Sunday, February 24th, will be our first Theology Uncorked, where we will meet at The Plough and the Stars at 5pm. In case you missed Mission and Vision Sunday on January 20th, the recordings and brief summaries are up here. Please have a listen to them if you missed it! Mission Highlight: We have accepted the invitation to lead an English Camp in Spain, and it will take place from Monday, June 24 to Friday, June 28, with a couple days before and after for travel. The base cost will be $1,500, but please don’t let cost deter you, as fundraising at our church has been very effective. We would like to present the team before the congregation on March 17th, and so have a team set in about a month. An email will go out with interest forms. Most Spaniards are agnostic; many are atheist. Evangelical Christians make up less than half of one percent of the population. It is no surprise most Spanish Evangelical churches are few, very small and struggling to survive. In Spain, Protestant churches are seen as weird cults that are not to be trusted. An English camp is an effective way for the church to reach out to the local community and fight some of these misgivings against Evangelical churches. By offering something the locals want, English instruction, for extremely cheap at high quality, without the bait and switch, helps the community get to know the church and for the church to get to know them. By merely having the neighbors inside church walls and witness that we Christians are normal and friendly, is a huge help to the local church and their mission there. After we leave, the church then continues to build on the reputation and relationships that we helped them start or deepen. In the months leading up to the trip, we will prepare our hearts and minds for the work, and also prepare all the curriculum, materials, and visual aids. Together with Steven, we are still deciding whether to do another English camp geared to children in Vilafranca or an English camp for a wide range of ages in Barcelona. If we do the one for children, we can re-use some of the curriculum from last time, but it could definitely benefit from some improving. If you have any experience in teaching English language learners, please contact us! It will be a great opportunity to help the church in Spain reach their neighbors, because it is extremely difficult to do so there, to be connected with the missionaries we support and the other missionaries we get to meet there, to encourage Christians in Spain, to be aware of God's global kingdom, and deepening relationships with other team members from our church. Then we prayed for God to raise up a team from our congregation and to equip, unify, and prepare us and the church in Spain, so that Jesus might be known to be God. Let's continue to pray for and the team and ask God if we are being called to go. Question #6: How can we glorify God? Answer: We glorify God by enjoying him, loving him, trusting him, and by obeying his will, commands, and law. Main: Prejudice is incompatible with faith. Jesus is the only way forward.